Our patients are very important to us. In order to provide each patient with the time and attention necessary to truly treat in an integrative manner, we are unable to accept insurance. If you have “out of network” benefits you may be able to recoup some of the cost of your visit. In addition, services may apply towards qualified medical expenses if you have a Health Savings Account. As a courtesy, we will gladly help you submit the claim to your insurance company. If you have insurance, your labs are likely to be covered and we will help submit this also. We do require payment at the time of service and accept cash, check, Visa and MasterCard. The Vibrant Life Medicine providers do not participate in the Medicare program. 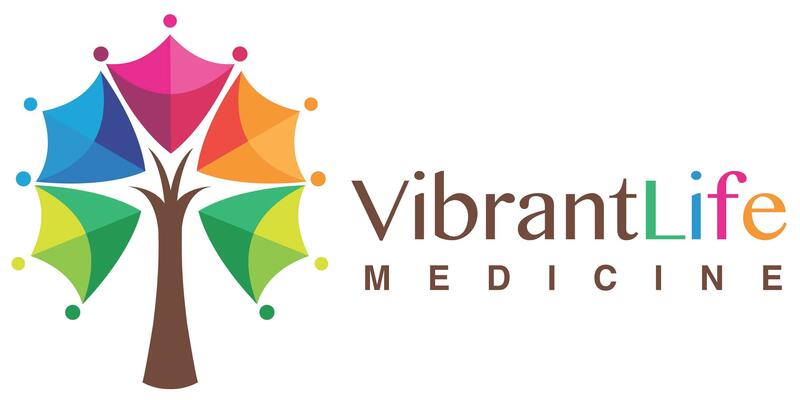 If you are a Medicare Part B beneficiary and wish to become a patient of Vibrant Life Medicine, per Medicare guidelines you are required to accept the terms and conditions set forth in a Private Contract between you and the provider. This Private Contract provides that absolutely no Medicare payments will be made to you or to Vibrant Life Medicine for the services provided, even if such services are covered by Medicare. Under the Private Contract, you acknowledge that you accept full responsibility for the payment of charges for all services rendered Vibrant Life Medicine. Typically, any lab work that is requested from a conventional lab is covered. However, Dr. Song may also recommend Functional Medicine tests, which include urine, stool or saliva kits that you take home, and/or have blood drawn at Vibrant Life Medicine. These Functional Medicine tests are generally not covered by insurance. Prices vary depending on which test you take, and reimbursement depends on your insurance. Our time is reserved exclusively for your care during your scheduled visit. We ask that you arrive at least 20 minutes early in order to maximize your time spent with your provider. If you are late for your visit, please keep in mind that your visit will end at the scheduled time in order to avoid delaying the next patient, and you will still be charged for the entire visit. We have a 72 hour cancellation policy. If you cancel an appointment less than 3 business days prior to your appointment or fail to show for an appointment, you will charged a fee that represents the full cost of your scheduled appointment. Appointments for telephone consultations, “Virtual Visits”, are available for existing patients during regular business hours, which will be billed at the same rate as in-person appointments using the credit card on file. In general, there is no fee for brief telephone calls for uncomplicated questions. For matters that would be best attended to during an appointment, we request that you schedule an in-person or telephone consultation. Dr. Song will review each of the lab tests ordered and notify you if any result requires immediate attention. Otherwise, all test results will be reviewed at your next scheduled appointment. Results for test kits that are sent to specialized labs generally have a 4 week turnaround time, so please be sure to schedule a follow up appointment approximately 4 weeks from the time you submit all test kits. If for some reason you are unable to attend the class for you which you are registered, please note that we have a one week refund policy. Classes that are cancelled more than 1 week in advance will be refunded minus a $10 service charge. Registration fees for classes that are cancelled with less than 1 week notice will be credited toward a future class taken at Vibrant Life Medicine. Please note that while Dr. Song will not function as your primary care physician, she will gladly coordinate care with any of your other healthcare providers.